What can you do to ease the tiresome symptoms of hay fever? Hay fever symptoms affect you at different times of the year depending on what is causing the reaction. As many as 60 million Americans are thought to suffer from hay fever (or, to give it its official name, allergic rhinitis). For these individuals, the spring, summer and sometimes the fall too, are blighted by itchy eyes, a runny nose, and sneezing. In some people, hay fever symptoms aren’t seasonal but are instead a year-round occurrence that has causes outside of the typical pollen allergy that afflicts most hay fever sufferers. Seasonal hay fever results from sensitivity to pollen from grasses, weeds (ragweed is a common culprit), and/or trees, or to airborne mold spores. You are more likely to develop hay fever if you have other allergies, asthma, eczema (atopic dermatitis), a family history of hay fever, or your mother smoked during your first year of life. Hay fever symptoms affect you at different times of the year depending on what is causing the reaction. If you tend to experience hay fever symptoms in the spring, you are likely reacting to tree pollen, while symptoms during the summer tend to be a response to grass pollen and fall symptoms tend to be caused by ragweed pollen. Your doctor can refer you for a simple skin test to confirm that your symptoms signal hay fever. The test involves having minute amounts of allergens pricked into the skin on your arms—if you develop a raised red bump in the area, this signals an allergy to the substance. 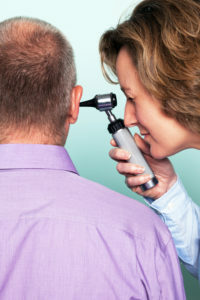 A blood test also can be carried out to confirm the diagnosis. Chronic year-round symptoms are usually a reaction to spores from indoor mold, or to dust mites, cockroaches, and dander (minute skin flakes) from pets. In response to these allergens, your immune system produces antibodies that stimulate your body to release inflammatory chemicals, like histamine. It’s these chemicals that cause your itchy red eyes and sneezing. Other hay fever symptoms include coughing, nasal congestion, and swollen eyes. Hay fever can cause complications such as a greater risk for asthma attacks if you also have asthma, and fatigue due to hay fever symptoms disturbing your rest. The condition also can cause you to become depressed, particularly if your symptoms are chronic. Unfortunately, there is no cure for hay fever, so you will need to focus on trying to avoid hay fever triggers. Keep doors and windows closed during the months when you are most affected. Avoid going outside during the early morning (pollen counts are highest at this time of the day) and on windy days. Don’t hang laundry outside to dry, since pollen can stick to fabric. Install an allergy filter in your home’s air conditioning system if it has one, and use a dehumidifier to reduce humidity indoors. Seal your mattress and pillows inside allergen-proof covers to ensure a barrier against dust mites. These minute bugs feed on dead skin flakes and it is impossible to rid your home of all of them (you won’t want to hear this, but as many as 10 million dust mites can live inside an old mattress, while up to one-third of the weight of a pillow that is several years old may consist of these critters). Wash bedding in water heated to at least 130°F—if your child has hay fever, you also need to regularly wash his or her soft toys in similarly hot water, particularly if your child takes them to bed at night. For the best results, seal the toys inside a plastic bag and put them in the freezer overnight before washing them. Be sure to thoroughly dry them after washing, since dust mites flourish in damp surroundings. If you have carpets, use a vacuum cleaner with a high efficiency particulate air (HEPA) filter—better yet, get rid of the carpets. If you have pets, don’t let them in your bedroom or on your bed. Dogs should be bathed once a week. Make sure you clean up any crumbs that might attract cockroaches—also block cracks where they might gain access to your home, and take out the trash each day. There is a wide range of over-the-counter (OTC) hay fever medications that can be effective at controlling symptoms. These are typically antihistamines—examples include Claritin and Zyrtec. Keep in mind that some OTC hay fever treatments can cause you to become drowsy. Carefully follow dosage instructions and heed any recommendation to avoid driving and/or operating machinery after taking them. Decongestants also can bring relief—spray options include Sudafed, and Afrin, but try not to use them for any longer than two or three days at a time, since they can cause “rebound” nasal congestion. Oral decongestants are also available but should not be taken if you have high blood pressure, since they can raise blood pressure. 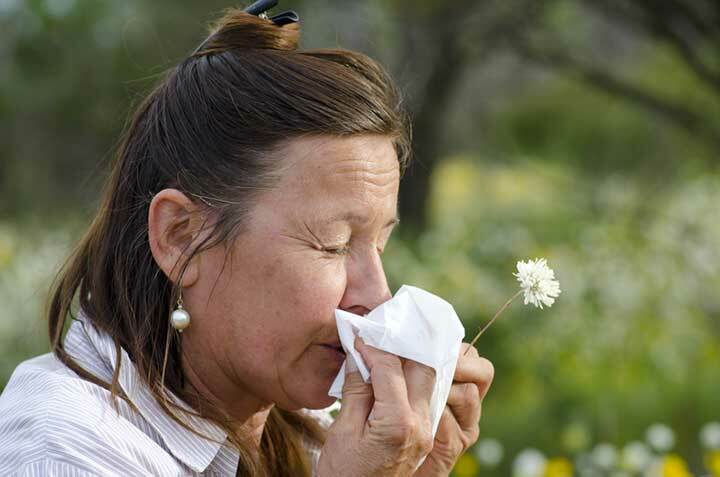 Prescription hay fever treatments include corticosteroids that are highly effective at easing an itchy, runny nose. Options include Flonase, Nasonex, and Dymista. You also might want to consider immunotherapy, particularly if you don’t gain much symptom relief from hay fever medications, or are unable to use the treatments due to side effects. Immunotherapy involves allergy shots (or pills you place under your tongue to slowly dissolve) that expose your body to minute quantities of your specific allergen can get your body used to your hay fever trigger to the extent it no longer causes hay fever symptoms. See also the American College of Allergy, Asthma, and Immunology’s website as well as the U.S. National Library of Medicine’s report on hay fever at MedlinePlus. Another 2017 study (American Journal of Clinical Nutrition, Feb. 22) suggested that a probiotic might help reduce hay fever symptoms if you take it during allergy season. Probiotics are live microorganisms that occur naturally in the gut and inhibit the growth of harmful bacteria. For the eight-week study, 173 people who suffered from seasonal allergies were split into two groups: Some took a combination probiotic (lactobacilli and bifidobacteria), while others took a placebo. Each week, the participants responded to an online survey to convey their discomfort level—and those who took the probiotic reported fewer allergy-related nose symptoms. The study did not include severe allergy sufferers, but the combination of probiotics benefited people with mild seasonal allergies. They researchers speculate that probiotics might work by increasing the immune system’s percentage of regulatory T-cells, which in turn might increase tolerance to hay fever symptoms. You can find probiotics in dietary supplements, and in some foods, such as yogurt—check the label and opt for supplements or foods that contain five to 10 billion colony forming units, or CFUs, per serving. allergen, allergic rhinitis, allergies, allergy, allergy season, allergy shots, asthma, bacteria, blood pressure, corticosteroids, depressed, dietary supplements, eczema, getting sick after flying, have high blood pressure, hay fever, hay fever symptoms, health, health news, high blood pressure, histamine, immune system, immunotherapy, infection, migraine, migraine headache, mold, nasal congestion, nutrition, pollen allergy, probiotics, report, rhinitis, runny nose, seasonal allergies, sick after flying, side effects, sinus, sinus headache, sinus infection, sinusitis, skin, supplements, university health news, yogurt.